When prepping for the arrival of your baby, your to-do list may seem endless! An often overlooked aspect, eating after baby arrives. After all, no matter what kind of birth you have, postpartum recovery takes time. And the last thing you gonna want to do is cook! 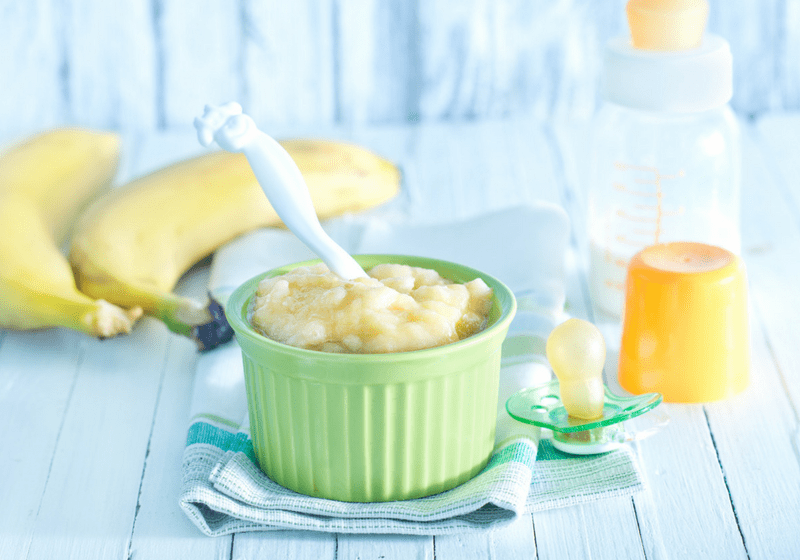 Enter: Easy freezer meals for new moms! This post may contain affiliate links. This means if you click a link and make a purchase, I may earn a small commission. We only promote products we trust and love! You can read our full disclosure here. 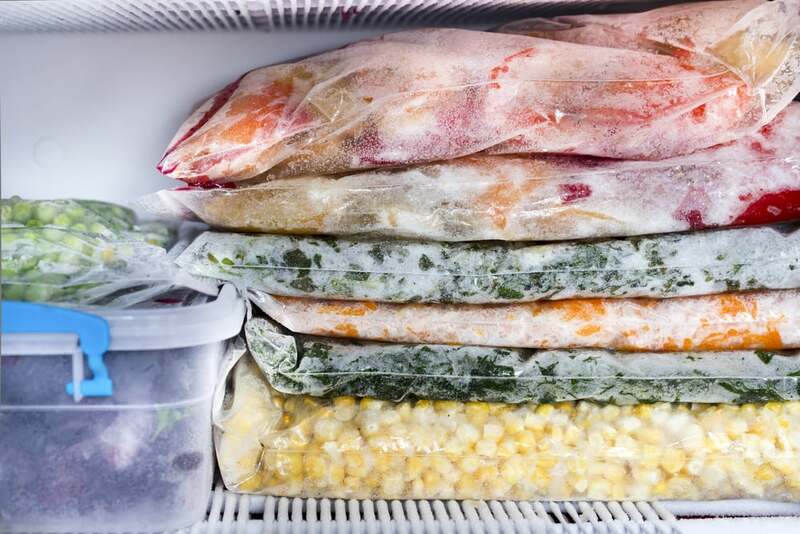 Why Prepare Freezer Meals Before Baby Arrives? 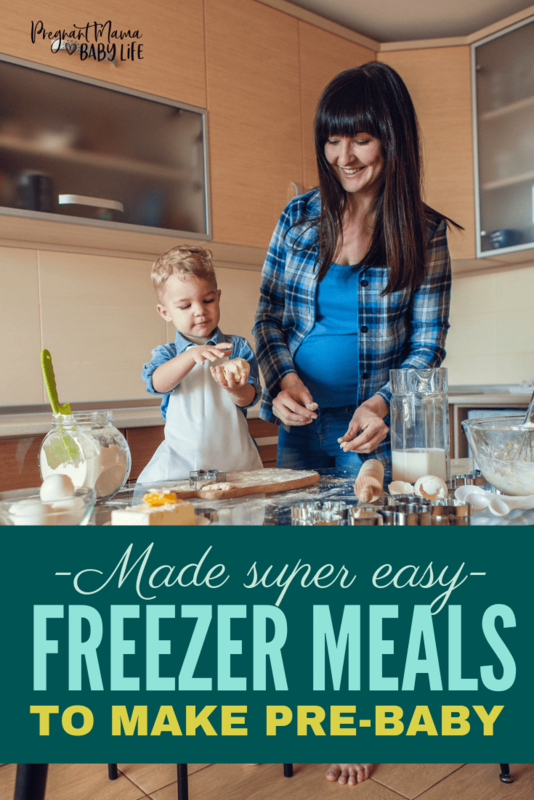 Why Use Freezeasy Stork The Freezer Meals? How Long Does It Take to Prepare All 10 Meals? Will the Ingredients for the Meal Plans Be Expensive? Will I have room in my freezer for all 10 meals? This may seem obvious, but let’s go over a few reasons why you want to prepare and freeze meals before your baby comes. For me, I love stork the freezer meals! These make everything super easy and “no thinking” involved. Love it! I pay a couple bucks, and someone does all the hard work for me! Here’s why you need to plan ahead! Giving birth takes a lot out of you. Do yourself a favor and give yourself permission to take the time after birth to focus on 2 things. 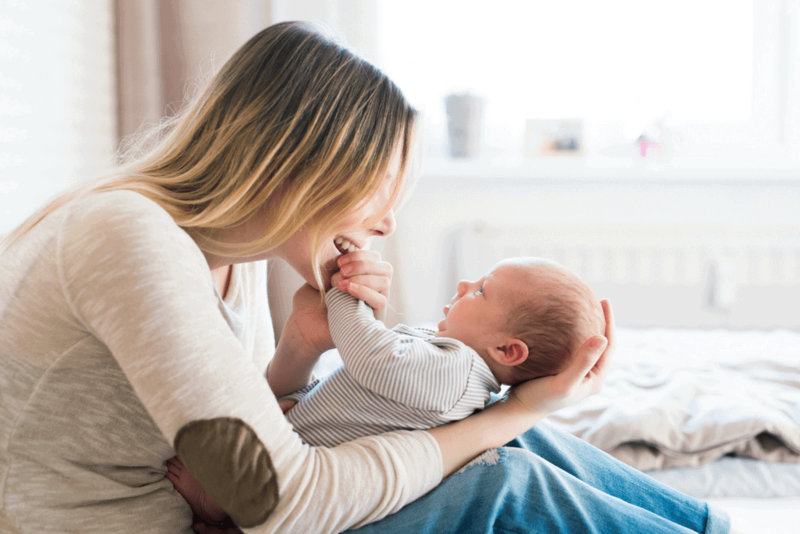 Healing your body and bonding with your baby. These will be the best gift you ever give yourself. Ok. So “starving” is a little dramatic. But let me tell you a little story…. I didn’t make freeze ahead meals. Well, actually I did. But it was a total fail. 8 hours of cooking with only 2 meals in the freezer to show for it. I figured after the freezer meal “fail” we’d wing it and be just fine. My husband and I were so stinkin exhausted after birth, that neither of us were going to cook. We survived off of oatmeal, cold cereal and fast food. 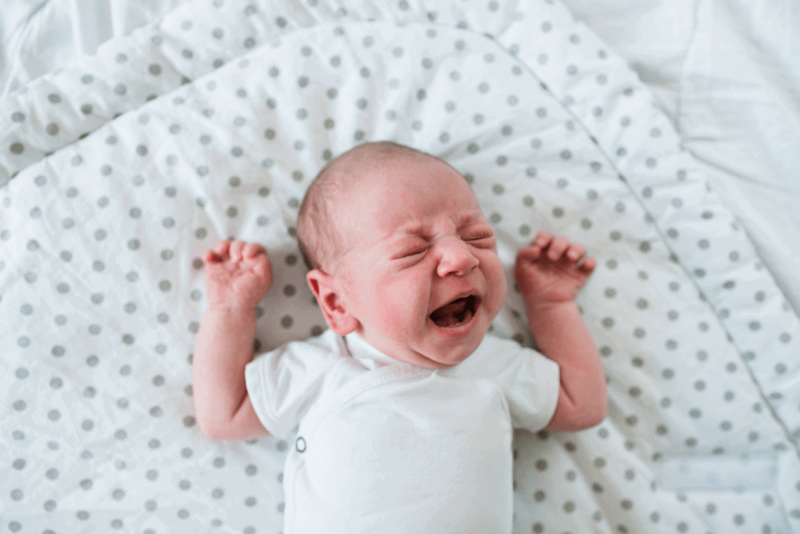 Not the ideal situation when you’re trying to heal your baby, establish a milk supply and find the energy to deal with the sleep deprivation that comes along with a newborn. Baby’s make their own timeline. It’s very hard to predict when they will decide to make their entrance into the world. Planning a few weeks ahead of time will be your best bet. After all, freezer meals last for quite a while, and will be ready when you need it! The key to preparing great freezer meals ahead of time, is doing your research. When choosing the meals you want as part of your batch cooking, you want “new mom & baby friendly” meals. For example, if you plan on nursing, you’ll want meals that won’t put your baby at risk for tummy troubles. I will say there is a big debate going on over whether this is a myth or not. 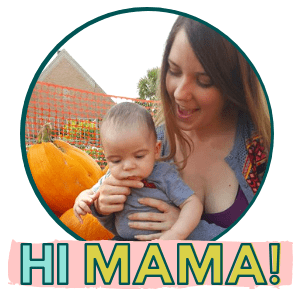 For me, simply talking to other moms who’ve had colic issues, this is a real thing! Certain foods can cause colic, so make sure you are picking “tummy friendly meals.” This is another reason I like Stork the Freezer Meal Plans. They have a nursing friendly plan for 2 weeks of frozen meals! If you are not planning on nursing, you’ll still want nourishing foods that will help replenish the nutrients lost during pregnancy and birth. This will help you feel better, faster. After all, the human body is amazing at healing itself, IF given the right nutrients. It just makes thing so simple. They are inexpensive, do all the hard work, (The planning!) and guide you step by step on what to do to stock your freezer full of meals before baby arrives. Basically, it just takes out the headache. Of course, there are reasons not to use them! 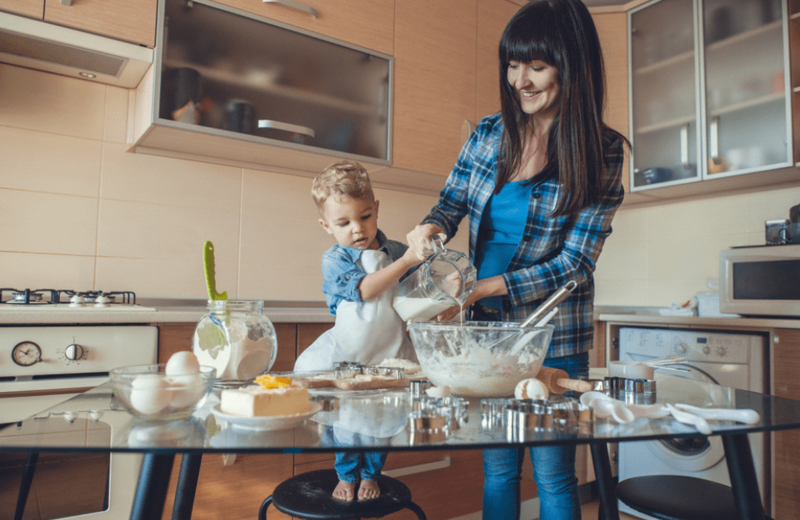 If your family is super picky and only eats very specific food, you may have trouble with their preplanned meal plans. You can check out what meal are in each menu here. These meal plans are specially picked for new moms. However, if you find that these meals just do not sound appetizing, you can always check out their main page for their specialty, non-new mom meal plans. They have paleo meal plans, plans for gluten-free meals, dairy-free, gluten-free dairy-free soy-free! A big variety. It should take you about an hour. Of course, this depends on how fast you work. I know I was much slower in general in my third trimester, so it would take me a little longer than one hour. But still, 10 meals in almost one hour? Yes! Nope! The whole point of these meal plans is to make it easier, and cheaper!! The mom who designed these meal plans know what it means to be super busy doing ALL the things. So she created these plans for moms on a budget, who don’t have hours to cook each week. These meals will fit in even a small freezer! It takes up 10 large ziplock bags that lay flat. Of course, you can store them in Tupperware too. It all boils down to preference. If you are expecting a baby and trying to make life easier with your newborn, I highly suggest grabbing one of these meal plans and giving yourself the best gift ever! You’ll be so thankful when you have a freezer stocked full of nourishing meals for you and your family when baby comes.